Last week we wrapped up a few ongoing items as well as the budget. Many good things to be proud of in this year's budget. Please see below for details. Have a blessed week! After long hours of discussion and compromise, the Missouri House and Senate came to a final agreement on the state operating budget for the upcoming fiscal year that begins in July of this year. In its final form the budget checks in at $27.26 billion. Because the House had based its original budget on a more conservative revenue estimate than was used by the governor and the Senate, the House version also contained a surplus revenue fund to capture any additional revenues that would come in above the estimate. The compromise version of the budget does away with the surplus revenue fund and instead is based on a slightly higher revenue estimate than was originally used by the House. The end result is a fiscally responsible spending plan based on realistic revenue projections that makes wise use of taxpayer dollars. • $37.2 million increase in performance funding for Missouri colleges and universities, which includes approximately $17.8 million in new funding for the University of Missouri System. The budget also includes a $3.8 million cut to the MU system’s administration. • $750,000 to fund a commission to review the MU system’s administrative structure, campus structure, auxiliary enterprises structure, degree programs, research activities, and diversity programs. 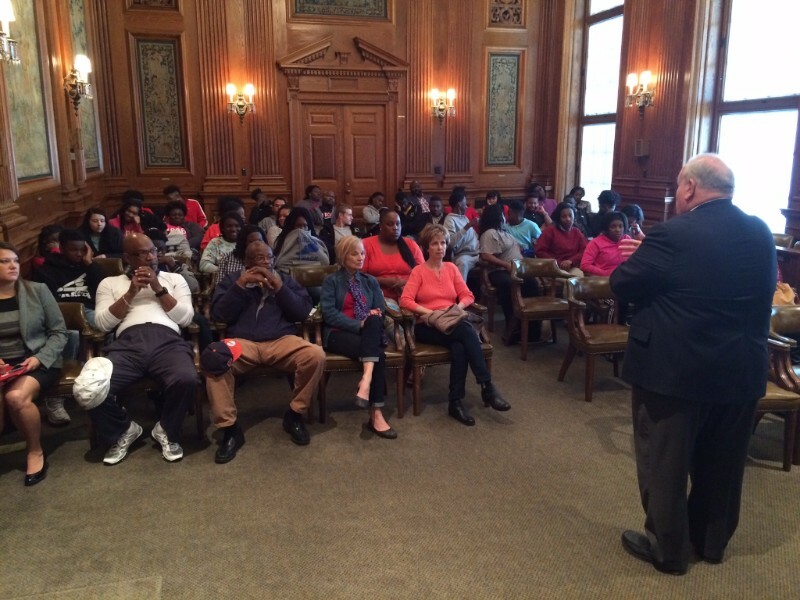 • $4 million increase for the Access Missouri need-based scholarship program. The Missouri House continued to make good on the promise made by the House Speaker as it saw another piece of ethics reform legislation signed into law this past week. During his Opening Day Address, House Speaker Richardson made it clear that the top legislative priority for the House would be substantive ethics reform. House members then moved quickly to send seven single subject ethics bills to the Senate. The bill that is set to become law on August 28 will prohibit statewide elected officials, members of the General Assembly, and candidates for those offices from receiving compensation as political consultants who are paid for profit to engage in specified political activities on behalf of other individuals holding office as statewide elected officials or members of the General Assembly. The sponsor of the bill said the measure is essential to “safeguard public trust in elected officials” and called the bill an important first step. He added that he thinks it is important for people to trust that their public servants are “here for the right reasons, not to profit and make personal gain from their public office." Also this week, the Senate gave final approval to another piece of ethics legislation and sent it on its way to the governor’s desk. The bill requires members to wait six months after their term expires before becoming a lobbyist. If signed into law, the bill will add Missouri to the list of more than 30 states that require a waiting period before a lawmaker can become a lobbyist. The Missouri House advanced legislation to prevent fetal tissue from abortions from being donated for medical or scientific use. The bill specifically prohibits an individual from knowingly donating the fetal organs or tissue resulting from an abortion to any person or entity for medical, scientific, experimental, therapeutic, or any other use. The bill stems from the recommendations made by two House committees that met during the interim to investigate allegations that Planned Parenthood sold the tissues and organs from aborted fetuses. It was last year that an anti-abortion group released video that appeared to show a Planned Parenthood executive discuss how the organization disposes of the tissues and organs from aborted fetuses. Pro-life activists claim the video proved that Planned Parenthood sold the tissues for profit, which is illegal. Planned Parenthood claims the allegations are not true and any costs associated with the tissues are there to cover related expenses. In addition to the ban on the donation of fetal tissues from abortions, the legislation approved by the House would establish a tracking system for fetal remains. Specifically, it requires all tissue removed from an abortion to be sent to a pathologist. Currently, only a representative sample of tissue removed at the time of abortion must be sent to a pathologist. Each fetal tissue specimen must be given a unique identification number to allow the specimen to be tracked from the abortion facility or hospital where the abortion was performed to the pathology lab and its final disposition location. The bill also requires the department of health and senior services to conduct annual, unannounced, on-site inspections and investigations of abortion facilities. Julie Braden stopped in the Capitol week before last on her break from college. 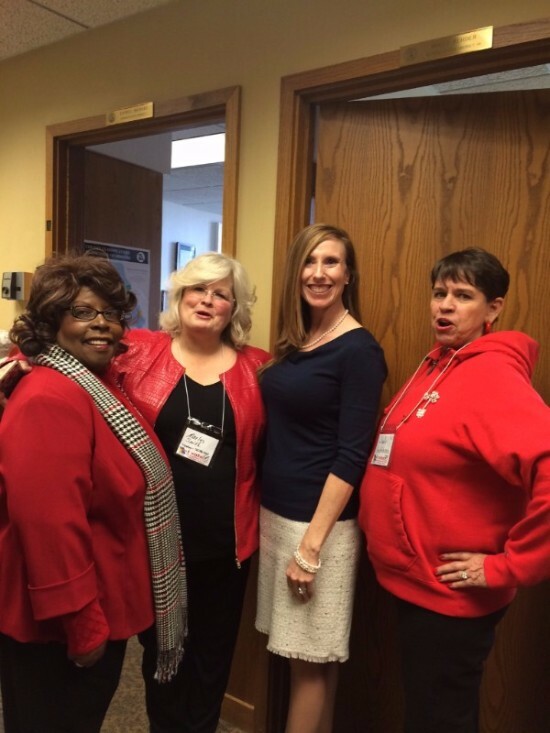 She was a breath of fresh air and Rep. Shelley Keeney Taylor and I had a blast showing her around. This photo is Julie and Shelley at the top of the Capitol dome. 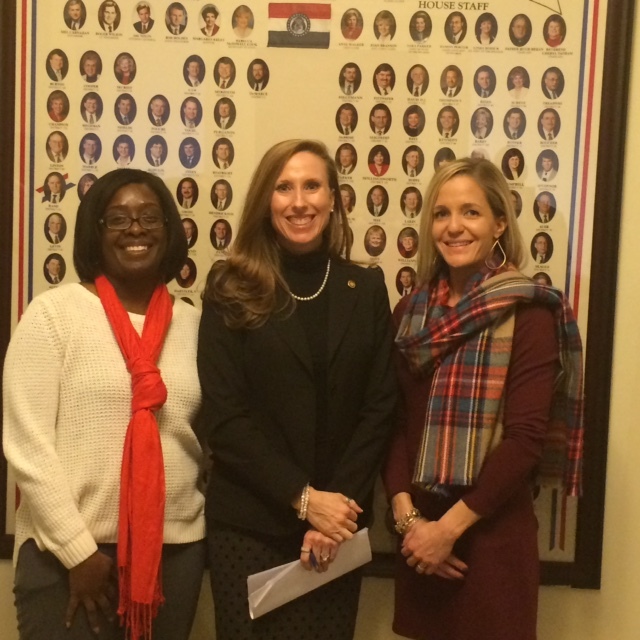 The House approved legislation to provide additional resources and assistance to young people with dyslexia. This bill requires each public school to screen students for dyslexia and related disorders at appropriate times. In addition, the Department of Elementary and Secondary Education must develop guidelines for the appropriate screening of students and the necessary classroom supports. The requirements and guidelines must be consistent with the findings and recommendations of the Legislative Task Force on Dyslexia, which is also created by this bill. The bill also requires that the school board of each district and governing board of each charter school must provide reasonable support for any student determined to have dyslexia or a related disorder. The bill establishes the Legislative Task Force on Dyslexia to make recommendations for a statewide system for identification, intervention, and delivery of supports for students with dyslexia including the development of resource materials, professional development activities, and proposed legislation. The task force must hold its first meeting before October 1, 2016 and must submit a report within 12 months of the meeting. The bill is necessary because many children with dyslexia are seeing their educational opportunities adversely impacted due to a lack of proper treatment. Currently, many schools don’t or can’t screen for dyslexia. Proponents say the bill will be a step toward ensuring proper screening and resources for children with dyslexia, which will lead to improvements in school and in other aspects of their lives. The Missouri House gave overwhelming bipartisan support to legislation that would provide additional assistance to veterans suffering from Post-Traumatic Stress Disorder (PTSD). House members approved HB 1428 to change Missouri law to recognize mental health service dogs on the same level as traditional service dogs. The bill would revise the definition of "service dog" to include animals that provide support or therapeutic functions for individuals with psychiatric or mental disabilities. The sponsor said the change is necessary to provide additional support to the many combat veterans who returned home with PTSD or a traumatic brain injury. The sponsor also noted that the global war on terror has created 2.7 million veterans with 20 percent of these individuals estimated to have post-traumatic stress disorder, and more than 300,000 estimated to have a traumatic brain injury. By adding the definition of the mental health service dogs to current statutes, the Missouri House hopes to help returning veterans suffering from PTSD, as well as individuals struggling with Alzheimer’s, brain injuries, and an array of mental health diagnoses. Mental health service dogs are individually trained to perform tasks that mitigate the psychiatric disabilities of their disabled partners. Therapy dogs can guide a disoriented handler to safety, find a family member for assistance, and stop obsessive compulsive disorder actions. Despite their benefits, mental health service dogs have not been recognized and treated on the same level as traditional service dogs. However, mental health services dogs are already recognized by the United States Department of Housing and Urban Development, the Americans with Disabilities Act, and the Federal Aviation Administration. Please share with your friends and encourage them to sign up for our reports. Stop by or contact us anytime by calling (573) 751-5471 or via email at holly.rehder@house.mo.gov or lynn.overton@house.mo.gov. Bills are moving fast and both Houses are working diligently to finalize the budget, wrap up remaining bills coming through committees and discuss all bills that have advanced to the floor. Paycheck Protection is waiting for our veto over-ride. I'm looking forward to getting this done! The Narcotics Control Act is scheduled to be heard in the Senate committee on April 20th. Keep this in your prayers please! 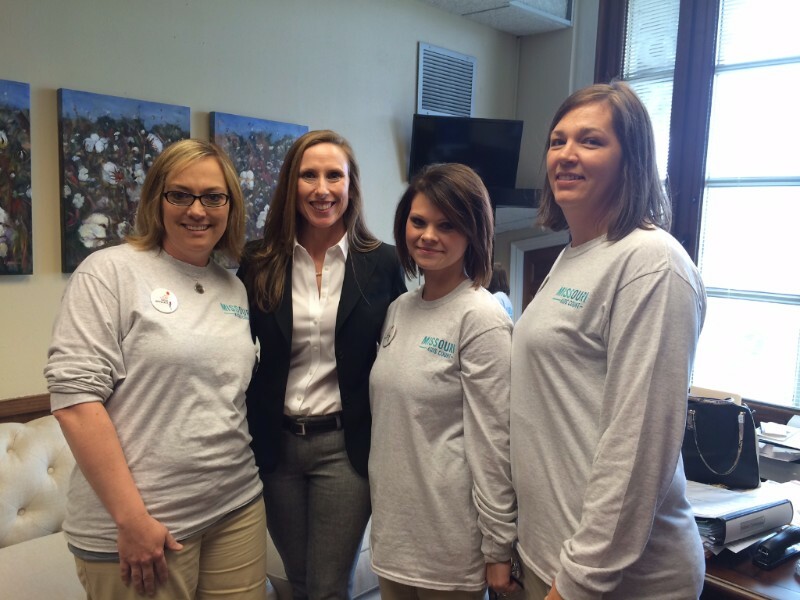 The ladies from Bootheel Babies made the trip up from Southeast Missouri to lobby on behalf of this important program. So excited to have some of our East Prairie ladies up this week with Mississippi County Caring Communities. They had a table display in the rotunda and met with legislators about the programs they provide. Very important to our communities! Making good on the promise to make substantive ethics reform a top priority, the General Assembly sent legislation to the governor’s desk this week that would help improve the culture at the State Capitol. 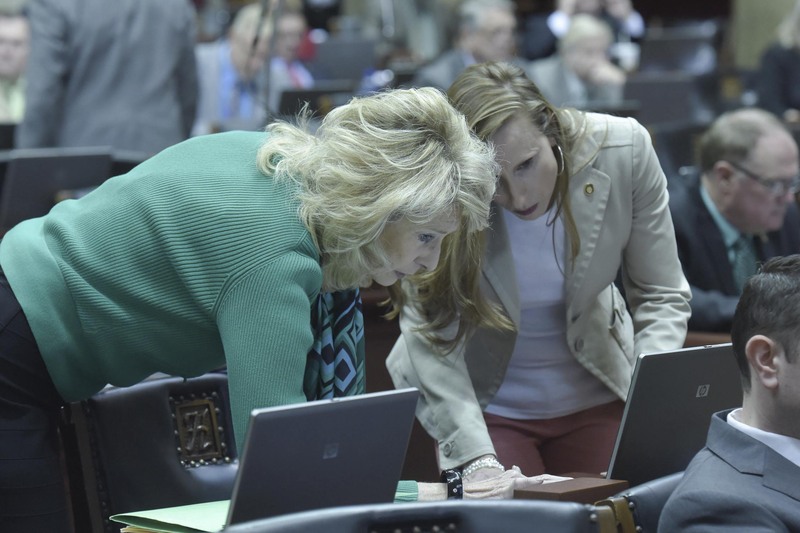 The legislation that has now received final approval from both the House and Senate would prohibit statewide elected officials and members of the General Assembly from receiving compensation as paid political consultants. The bill, which received bipartisan support in the House and unanimous approval in the Senate, would ensure that elected officials do not receive pay for campaign strategy or fundraising work while in office. The sponsor of the legislation explained how some elected officials have used their positions to gain personal wealth, and the bill is meant to prevent this type of conflict of interest. You would think this common sense measure would already be in place....but, hopefully it will be soon! The bill now awaits the signature of the governor, who has said he supports strengthening the state’s ethics laws. I love having our retired teachers up from Sikeston each year. Seeing Mrs. Marlys always puts a smile on my face! You can bet these ladies had fun while getting business done. Missourians with chronic illnesses would have better access to the medications they need under legislation approved by the Missouri House this week. The legislation is designed to prevent redundant “step therapy” so that patients who switch health insurance benefits are not forced to try medications that have already proven to be ineffective before being allowed to use medication that works. The bill is designed to address a problem the sponsor encountered as he sought medical treatment for his type II diabetes. With step therapy, a patient will first use the most cost-effective and safest medication and, if it is not effective, will then move to a more costly therapy. Step therapy has been an effective process, but the sponsor noted that it becomes an issue when a patient tries several medications to find one that is effective, but then has to start the process all over again when changing insurance providers. The legislation approved by the House simply ensures that a patient will not have to go through the process of trying multiple medications again simply because of an insurance change. In effect, it makes it so the medicine prescribed by the patient’s doctor is the medicine the patient is allowed to take. The legislation received overwhelming bipartisan support and is now on its way to the Senate for consideration. Farm Bureau has an annual dinner for farmers and legislators each year in Jefferson City. Several farmers from SEMO always make it up. 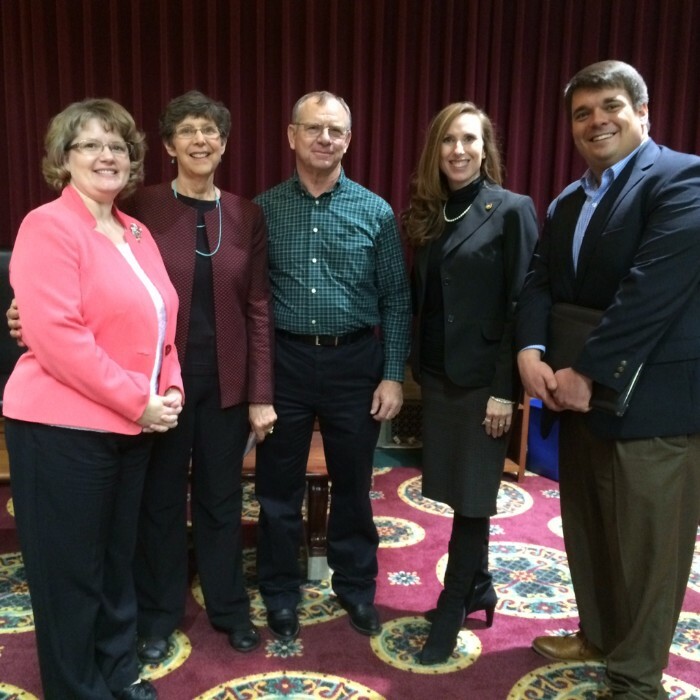 In this picture is Rep. Tila Hubrecht, Tom and Becky Jennings, Holly and Mr. Matt Bain from Lt. Governor Peter Kinder's office. The Missouri House approved legislation this week designed to modernize health care in Missouri, and improve the level of care provided by the state’s system of Medicaid. The legislation brings telehealth services in Missouri into state statute and works to bring greater access to health care to Missourians in rural and underserved areas. The bill would update Missouri’s laws on Medicaid reimbursement in regard to telehealth services so that more health care professionals could provide telehealth care to Medicaid recipients. Supporters of the bill say it is an important change that will allow patients to receive care without having to travel long distances. They noted the change could also result in a significant cost savings. In 2015 the state’s Medicaid program allocated more than $40 million for use in providing non-emergency medical transportation to take patients in underserved areas to see specialists. The legislation would further expand telehealth services by adding schools as an approved originating site that is eligible for Medicaid reimbursement. Additionally, the bill clarifies the law regarding prescriptions made by a physician via telemedicine to better ensure pharmacies will provide the prescribed medication. Telehealth is a means of delivering health care through the use of videoconferencing and other telecommunication technologies. It allows patients to have a live, real-time interaction with a specialist, who can provide care almost as effectively as if they are in the same room. Telemedicine has been an option for some Missourians for more than two decades now and the Missouri Telehealth Network has more than 200 sites in 62 Missouri counties. The network provided 30,000 appointments in 2013 that allowed most patients to see specialists that weren’t available in their hometown. A recent study by the network found that 90 percent of patients and providers were satisfied with the quality of care they received via telemedicine. 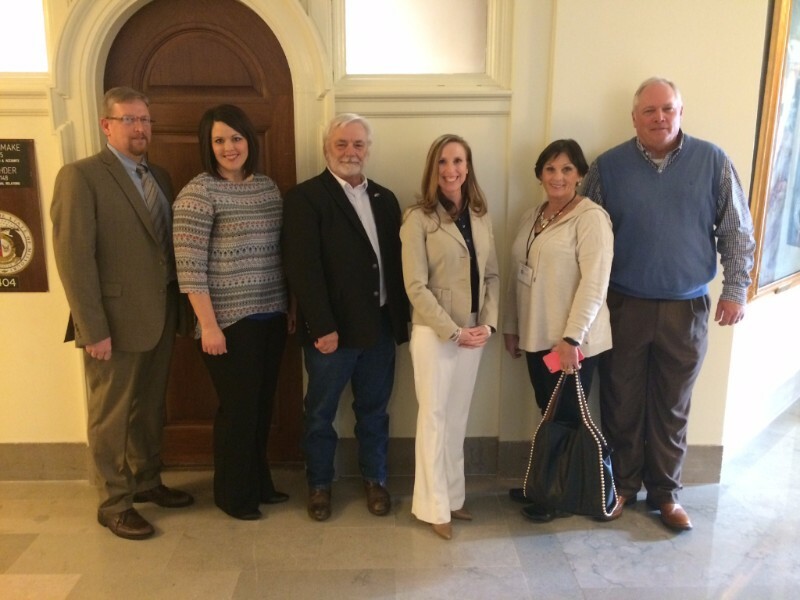 Our SEMO Electric folks stopped in last week to talk about the issues facing our utility companies today. Great group from Southeast Missouri....and much better weather for their trip this year! Each year Senator Doug Libla brings a group of kids up from the Bootheel to show them their Capitol and to learn a little about the legislative process. This is such a great experience for the kids and I can't thank Senator Libla enough for his kindness and concern about our communities and constituents. In this picture, Rep. Don Rone is answering questions. Some of the state’s greatest heroes made their way to the State Capitol this week to be honored for their service to this country. Vietnam veterans traveled to Jefferson City to be honored by lawmakers during the annual observance of Vietnam Veterans Day. House members offered resolutions to many of the visiting veterans in appreciation for their service to the United States. Lawmakers also gathered in the House Lounge to offer their sincere thanks to the many veterans in attendance. Finally, members paused from a busy day of debate to honor the visiting Vietnam Veterans on the House floor. The observance of Vietnam Veterans Day was created by HB 1128, which was approved by the General Assembly and signed into law by the governor in 2012. The day is meant to recognize the courage and patriotism of those who served during the Vietnam Conflict. Look at this awesome group that came to the Capitol from Southeast Missouri! 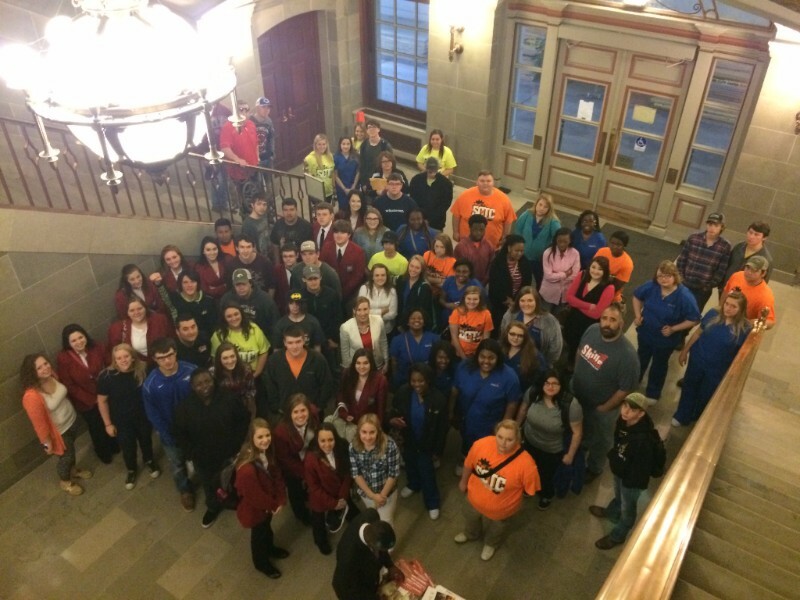 Brian Henson brought the students up from the Sikeston Career and Technology Center. They were in Jefferson City for the SkillsUSA leadership state competition.